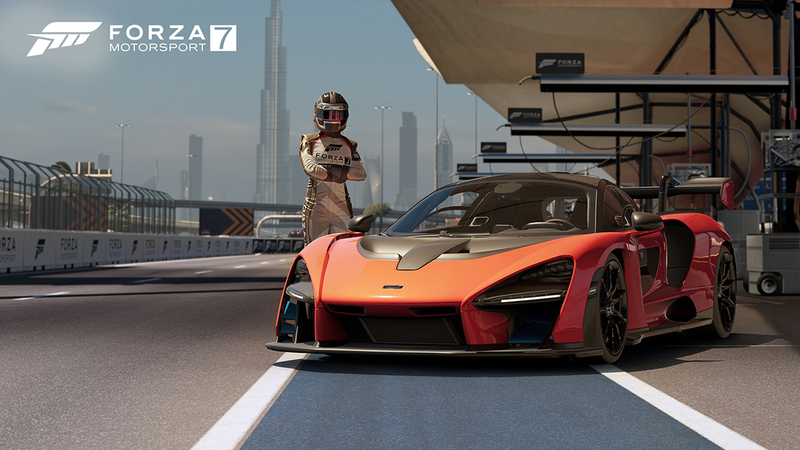 In a recent update, McLaren Senna joined Forza Motorspor and players will soon experience it. It is a car that many players dream of, but because the official is an update notice issued on April Fool’s Day, many players are dubious about it and dare not hold too much hope, but from the official news, this is definitely not a joke. And it will come soon. In terms of audio, some improvements have been made, and this month’s update brings some car engine audio improvements in the game. These changes are based on feedback from the Forza community, which affects many cars in the game. Finally, what makes players most happy is that they will unlock most of the “exclusive” cars that were locked before in Forza Motorsport 7, allowing players to buy them just like any other car in the game. In this way, you will not miss any car you like. Can give players a very good gaming experience. Having said so many updates to Forza Motorsport may make players more disappointed with Forza Horizon 4. Everyone feels that Forza 7 is getting better and better, and FH4 is getting worse and worse, and is very disappointed with PG. They think they haven’t solved the problem that should be fixed and improved, including never adding these Unicorn cars to the car, and the audio in the game needs to be improved. Although FH 4 does not unlock all vehicles, but if you’ve ever missed a car, but the auction house did not, you can consider U4N, hoping to find the car you want most and where.